Cardboard drum with metal ends, with yellow label printed in black and red, for 2oz of Bantam Coffee. 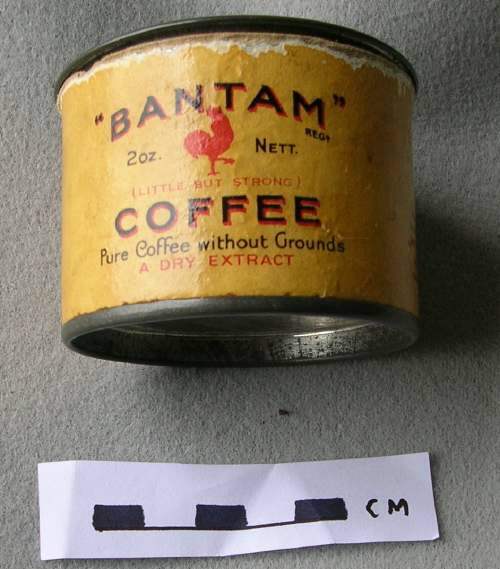 writing on front of label states ' "BANTAM"regd 2oz nett (LITTLE BUT STRONG) COFFEE Pure Coffee without Grounds A Dry Extract'. Nice item! Could you make me some pictures from the other side of the drum?